It has come to our attention at State Risk Management there is a possible mechanical issue with Ford Explorers; model years 2011 through 2017. Initially reports were for law enforcement (Utility Police Interceptor Vehicles) only, but now the issue could be effecting passenger models as well. There appears to be carbon monoxide entering the cabin of the vehicles via the vent system (air conditioner/heater) possibly due to cracked exhaust manifolds, but this is not definitive. 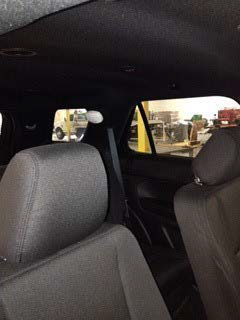 As there is not an official recall at this time from Ford we strongly suggest all entities that utilize Ford Explorers, in the model years mentioned above, have the vehicle inspected as soon as possible by a local Ford dealer. We suggest usage of these vehicles stop until it has been inspected by a certified mechanic to determine if the vehicle has a compromise. Entities may elect to install carbon monoxide detectors in the vehicles. If your State of Oklahoma owned vehicles are located within the Oklahoma City metro area you may contact Fleet Management to schedule purchase and installation of carbon monoxide detectors in these vehicles. State agency fleets can use the vehicle assigned Comdata fleet card to purchase a carbon monoxide detector at Wal-Mart, Lowe’s, etc. in the field. Any transactions will require a one-time override for approval; copies of receipts should be maintained and associated with the vehicle’s records. Be sure to purchase a carbon monoxide detector that includes an audible warning for low battery in addition to the warning alert sounded if carbon monoxide is detected. Fleet recommends mounting using heavy duty (indoor/outdoor Velcro) located as shown in the attached picture.